There are few things in this life that do not change. Our daily lives are always full of change. However, God is always the same, He never changes. Therefore, let us comfort ourselves with this thought, that even though things in our world today are always changing, some for better, some for worse, the one thing we can always count on never changing is our Lord and His word. 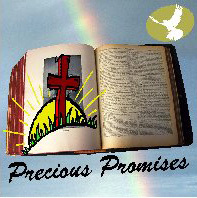 I will cling to these promises from Your word which never changes.